Without referring to Pakistan, China on Tuesday advocated “preserving the strategic balance and stability in South Asia,” after India successfully test-fired Agni-V ballistic missile. “China always maintains that preserving the strategic balance and stability in South Asia is conducive to peace and prosperity of regional countries and beyond,” said Chinese Foreign Ministry spokesperson Hua Chunying in response to a question. Without going into details during her regular press briefing, Ms. Hua also signaled that there are restrictions imposed by the UN Security Council on India for developing missiles carrying nuclear weapons. 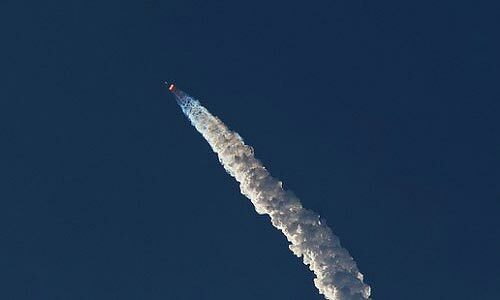 “We have noted reports on India's test-firing of Agni-V ballistic missile. The UN Security Council has explicit regulations on whether India can develop ballistic missiles capable of carrying nuclear weapons,'' she observed. Agni V , with a range above 5000 km, can carry a payload of 1.5 tonnes, three times the minimum weight of an atomic warhead. It is also more survivable to a counterstrike, as it is mounted on a TATRA truck, which imparts mobility to the weapon-system. Missiles having nuclear warheads launched from fixed silos can be more easily targeted. The spokesperson stressed that India and China, as emerging economies, were not rivals but partners, following media reports from India and Japan. “We also notice reports, including some from India and Japan, speculating whether India made this move to counter China. They need to ask the Indian side for their intention behind the move. On the Chinese part, China and India have reached an important consensus that the two countries are not rivals for competition but partners for cooperation as two significant developing countries and emerging economies,” she said.